The Junior League of Tulsa (JLT) has a venerable history of playing a key role in projects that over time have become highly regarded fixtures of the community—Leadership Tulsa, the local Ronald McDonald House, and the annual Mayfest, to name a few. This pioneering spirit has been an integral part of JLT since its inception, beginning with the establishment of the Convalescent Home for Crippled Children, which became known as the Children’s Medical Center. JLT was founded in 1923 with just 13 members. In response to the polio epidemic, JLT established a convalescent home for crippled children in 1926. Initially in a small frame house downtown near the intersection of 5th Street and Cincinnati Avenue, its emphasis was on the care of crippled children—primarily polio victims who were going through the process of recovering and seeking a facility to aid in rehabilitation. 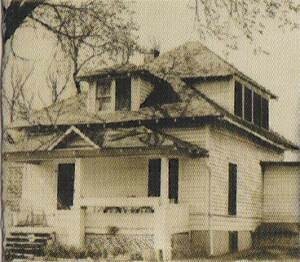 In 1928, the home relocated to a larger building at 1448 South Lewis to allow for the program’s expansion. At this time, it was renamed the Junior League Convalescent Center. After World War II, JLT felt it was time to turn the growing facility over to a community-run board. This was finally accomplished in 1951, two years prior to the construction of a large addition, which allowed the facility truly to achieve the status of a hospital. At this time, it was renamed Children’s Medical Center. In 1962, Children’s Medical Center absorbed the functions of several agencies, including the Tulsa Child Guidance Clinic, Child Study Clinic, and Vocational Training Center. The Children’s Medical Center joined Hillcrest HealthCare Systems in 1994. In 2000, the medical center closed, and other Hillcrest locations in Tulsa absorbed its functions. Today, JLT continues its legacy of involvement in children’s medicine through its work with Saint Francis Children’s Hospital. In conjunction with Philbrook Museum of Art, JLT volunteers provide free MyMuseum art kits to children staying at Saint Francis Children’s Hospital. The art kits contain supplies, along with educational information about a piece of art displayed at Philbrook. Each kit also includes an admission pass to the museum for the child to enjoy after his or her release from the hospital.